Located in Rapid City, South Dakota, Jamison is an American-made producer of ammunition that customers can trust. Part of CapTech International group, Jamison Brass manufactures ammunition for a wide variety of uses, from hard-to-find calibers to Safari hunting-grade ammunition and prides itself on producing quality ammunition that can be reloaded time and time again. 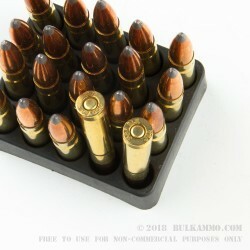 These Jamison .300 AAC Blackout rounds feature a 150-grain Spitzer boat tail projectile loaded into boxer-primed, noncorrosive, reloadable brass cases. 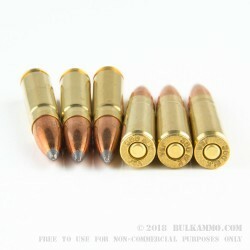 Designed for hunting and utilizing .30 cal Sierra Game King projectiles, these rounds are capable of a muzzle velocity of 2035 FPS and offer tight groupings at long range. 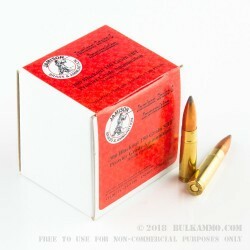 Each box of Jamison .300 AAC Blackout contains 20 rounds.